There are very many counter displays in the market that are specifically designed as counter top displays for diverse retail product display purposes. A good example is cardboard counter display for displaying cd display racks, ballet boxes, peg displays just to mention a few. Also, the counter displays are useful for displaying suggestion boxes, dvd displays and many more. Most of the heavy-duty counter displays are very light and can easily be assembled by using top notch corrugated material. Majority of the counter displays are assembled specifically for product loading. The good thing about counter displays available in the market is that they are environment friendly. They are 100% recyclable. Use of counter displays is a perfect way of raising awareness of your business or brand and thus improving sales. 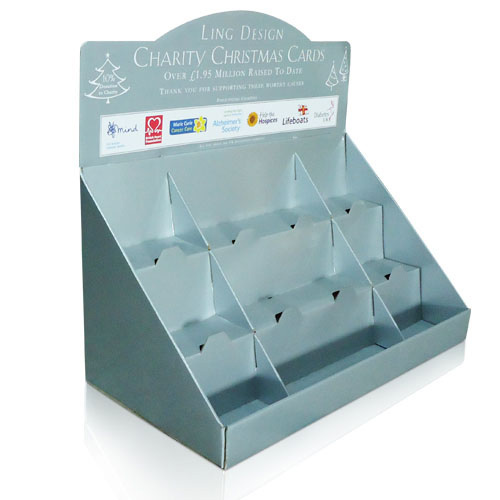 Point of Sale Displays are ideal item when talking about point of sale as well as cardboard displays. They develop impulse retail sale prospects from the scratch and any startup should not miss to take advantage of such opportunities. Counter displays are very important in making businesses competitive. These displays are organized and designed to present products or items attractively. The point of sale displays are perfect tools for making your products stand out amongst your competitors. There are also a number of counter displays suited for displaying smaller products for instance, CDs, pens, e-cigs, cosmetics and many more. An acrylic cosmetic display is suitable for displaying electronics, cosmetics and many more. With a cardboard counter display unit, retailers will be more than willing to put your products or stock and thus increasing your sales. The display units help in increasing sales because the break up boredom of retail shelving. They have pockets and shelves as an item showcase style. The cardboard displays that have pockets are suitable for displaying newspapers, DVDs, stationery and CDs while those that have shelves are suitable for displaying general boxed stock. If you are looking for a way to display your consumer electronics as well as premium cosmetics then you should opt for showcase style displays. Cardboard displays are a great solution for selling as well as promoting small products. Point of sale displays features custom cardboard insert used for holding small items in place and thus providing protection during transportation. Corrugated cardboard displays help to present large quantity of items so that they are sold quickly. If you are not comfortable with various types of cardboard displays already available in the market then you should not worry. You can work with the sellers of these displays so that they make you a cardboard display that matches your brand. If you are looking for a place where you can purchase any cardboard counter of your choice, then Parkway Display should top your list. There are numerous stores that you can visit and check the ones already in stock. Internet is also a great platform where you will find lots of online stores that will make it easier for you to do a comparison shopping to help you find a counter display that fits your budget. Prev: How to keep clean during in acrylic processing?